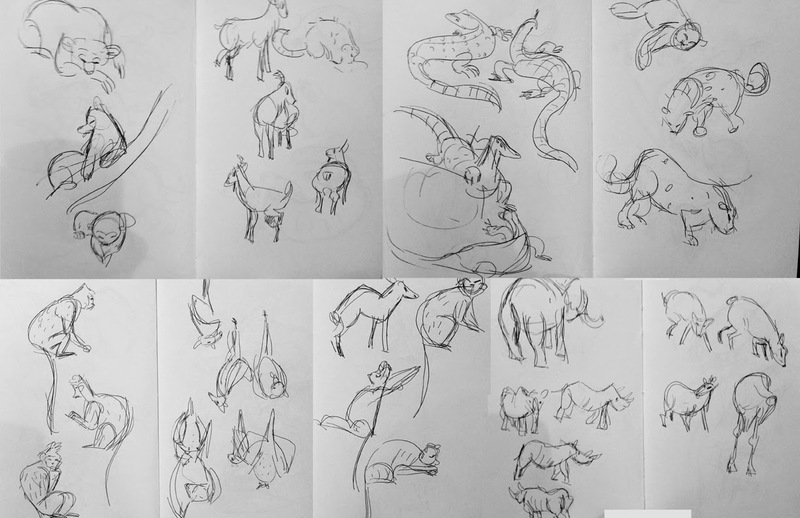 Zoo drawings from today! It was a rough drawing day for some reason haha. As always, your sketches are filled with so much character! I love them so much and you're really grasping the concept of straight vs curved line. You could try out working with different line weight and quality and I'm sure that would really solidify your sketches!